Captain Jackson arrived in Skagway on July 9, 1904 with the Third Infantry. He was the Quartermaster. He was born on Feb 11, 1869 in Palmyra, Missouri and went to West Point where he graduated in 1891. After serving in Skagway for a year, he married Julia Carr in Galesburg, Illinois (seen above – Julia looks a little wiped out here). Jackson stayed in the Army becoming a Major General. In World War One he received the Army Distinguished Service Medal for exceptionally meritorious and distinguished services to the Government of the United States, in a duty of great responsibility during World War I, as Brigade Commander, 74th Infantry Brigade, 37th Division, American Expeditionary Forces, in operations against the enemy in France. Brigadier General Jackson died on January 13, 1945 in San Francisco where he is buried. William Yanert was born in 1864 in Prussia, or Poland. He was a cartographer with the 14th Infantry and arrived in Skagway on this day, December 16, 1897 to map things. 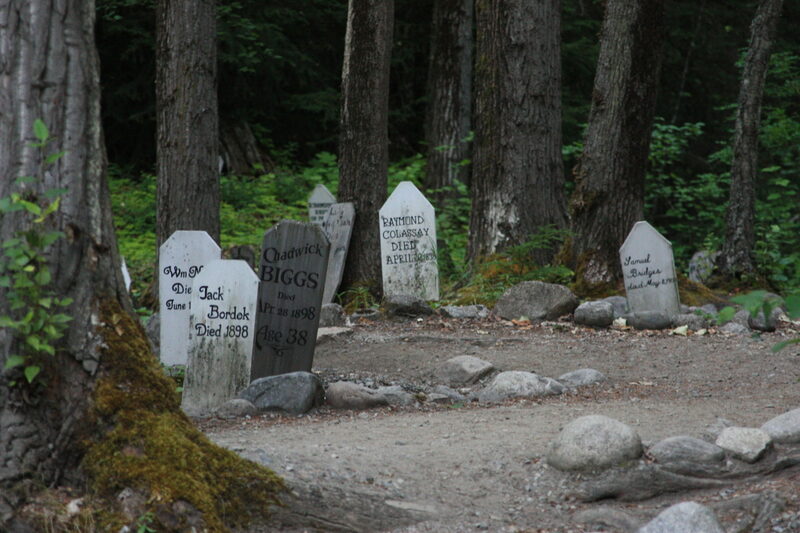 He left the army and made his way to a remote spot in Alaska in 1901 where he built a cabin and called it Purgatory. When asked why he named it so, he said “It was a hell of a place to live.” It is 45 miles downstream from Beaver, Alaska on the Yukon River. In 1910 his brother, seen with him above, joined him and he lived there for thirty-seven years. During that time he hunted, fished, wrote poetry and created art carvings which he sold to tourists who happened by on steamships up the river. They were entertained by his harmless pranks, his wit and gentle spirit. How many times have you heard people say they just want to go live in a cabin in the woods? Seems he did and enjoyed his life there. He died in 1941 in Portland but was buried in Beaver, Alaska. online obits; Lung-Trail to north Star gold p 323; “Sergeant William Yanert, Cartographer from Hell,” by Thom Eley, Professor at Univ of Alaska, Anchorage. I happened to see a photo of the Wheeling online and wondered what it was, as it looked a bit different than the other ships. Turns out it was a little U.S. warship that was sent around the Pacific to intimidate locals. 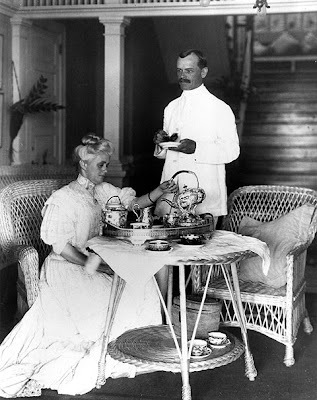 In October 1897 it arrived in Hawaii and gave the Hawaiians quite a shock, until they learned that the President had sent it with important communications for Admiral Miller, in command of the naval forces at Honolulu and Mr. Sewall the U.S. Minister. Six months late, in March of 1898, Governor Brady was on his annual inspection of the Alaska ports aboard the Wheeling. After leaving Dyea they sailed to Hoonah and found the local community all inflamed about a recent homicide and subsequent intentions to make the mother of the 6 year old child who had supposedly committed the murder pay up in blankets. Governor Brady told the local tribe that they could not do that anymore. At Yakutat he found another case of a witch hunt that nearly killed three people. To reinforce his word, he had Captain Sebree practice the guns of the Wheeling as an object lesson. 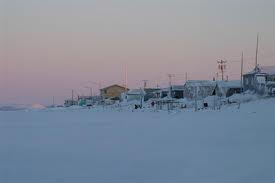 Shortly thereafter on July 25, 1898 it was reported that Canadian sealers were raiding the rookeries of the islands of St. Paul and St. George. Stationed at Unalaska, the gunboat Wheeler certainly had her hands full patroling the entire Bering Sea. On January 26, 1911 there was a report that the Wheeling had suffered an explosion while enroute from New York to Cuba. She must have survived that because in 1915 she was at the ready in Haiti when President Wilson was having some problems with Mexico. That article mentions that the entire Atlantic fleet of 21 warships was at the ready. Seems the little Wheeling got around! The Morning Herald March 23, 1898; Evening Post, January 26, 1911; Clinton Mirror, March 13, 1915; The Philadelphia Record, Sept 25, 1897. Before the construction of the railroad, Gaillard led a team of engineers up to the White Pass to survey a route. Gaillard was born in 1859 in Fulton, South Carolina. After graduation from West Point and promotion to first lieutenant in 1887, he married Katherine Ross Davis. The couple had one child, David St. Pierre Gaillard. By 1903 he was a Captain in the Army Corps of Engineers and in 1908 he led the Army Corps in building the Panama Canal. Gaillard was in charge of the notorious Culebra Cut through the backbone of the isthmus. Men who worked with him said he gave 12 hours every day to the Culebra Cit, besides which, he took his share in the labor of general administration of the Canal Zone. He checked up expenses, even on small things and once it was computed he had saved the Government $17,000,000. He succeeded, but did not live to see the job finished. Suffering from what was thought to be nervous exhaustion brought on by overwork, he returned to the United States in 1913. In fact, Gaillard suffered from a brain tumor. 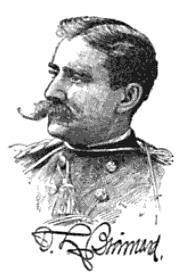 Lieutenant Colonel David DuBose Gaillard died at Johns Hopkins Hospital in Baltimore on this day, December 5, 1913. He was 54 years old. He is buried at Arlington National Cemetery. The Panama Canal opened nine months after his death, and Culebra Cut was renamed Gaillard Cut in his honor. Skagit River Journal website; NY times article 1903. David Brainard was born in 1856 in Norway, New York. On Sept. 13, 1876, 19-year-old David Brainard left home to travel to Philadelphia and view America’s first successful world’s fair, the Centennial Exposition. After taking in many marvels of the Machine Age, Brainard boarded a train for home. At New York City, he changed trains and reached into his pocket for money to buy a ticket, but there was none. Too proud to write his family for funds, Brainard took the free ferry to the US Army Post at Governor’s Island and joined the Regular Army. He didn’t know it, but David Brainard was on his wasy to becoming one of those rare individuals in military history who rose from Private to General by pulling himself up by his bootstraps. When Brainard joined the Army, it had been only three months since Custer’s command was mauled at the Little Big Horn, and in no time, Brainard was sent to Montana Territory, to serve with the Second Cavalry against the Northern Cheyenne and Sioux Indians. The square-jawed Brainard was a keen soldier, who firmly believed orders clearly issued should be obeyed. On May 7, 1877, Brainard participated in the Battle of Little Muddy Creek against the Sioux under Chief Lame Deer, and suffered wounds to his right hand and a gunshot wound to his right cheek, affecting his eye. Over half a century later, in 1933, he received the Purple Heart for his injuries. He was a Captain in the 14th Infantry when he arrived in Skagway in February 1898. Captain Brainard was appointed Purchasing and Disbursing Officer of the Alaska Relief Expedition and was based in Dyea. Brainard’s relief expedition was intended to address the “sufferings” of the Dawson miners during the Alaskan Gold Rush, but they found the miners well supplied and needed no relief. He is most famous for being the last survivor (in 1935) of the United States’ Lady Franklin Bay Expedition (1881-84), an ordeal of unimaginable hardship. Only six survivors were rescued in 1884 after being stranded in the Arctic for two years in the harshest conditions. Brigadier General Brainard died at the age of 90 on March 22, 1946 in Washington D.C. and is buried in Arlington.